Fine quality fresh water pearl, weight approx 0.5 grams, size 6x7mm . 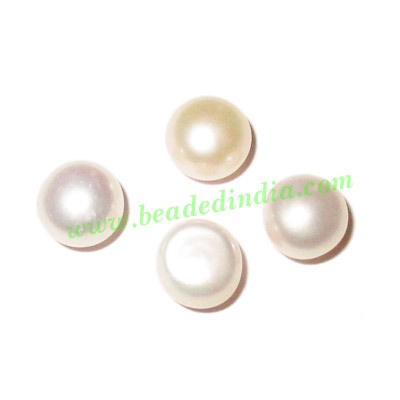 These pearls are used in finger rings, size available from 6mm to 12mm. Price is per grams, minimum order 10 grams. Leather Cords 2.0mm flat, regular color - violet. Resin Fancy Beads, Size : 10x50mm, weight 5.39 grams, pack of 100 Pcs. Leather Cords 0.5mm (half mm) round, metallic color - pale yellow.